HomeGift Guides3 Last Minute Shopping Strategies For People Who Have No Time To Shop! Does shopping for gifts stress you out? No worries! We’re here to help with this quick article full of shopping tips and strategies…. No one likes shopping for gifts or doing anything else really, at the very last minute, but sometimes we just have no choice. Life must continue going on, and everything else can’t take a pause because we want to do something special for our loved ones. That’s why we wrote this article to help you figure out what you need to do in order get all of your gifts in time! 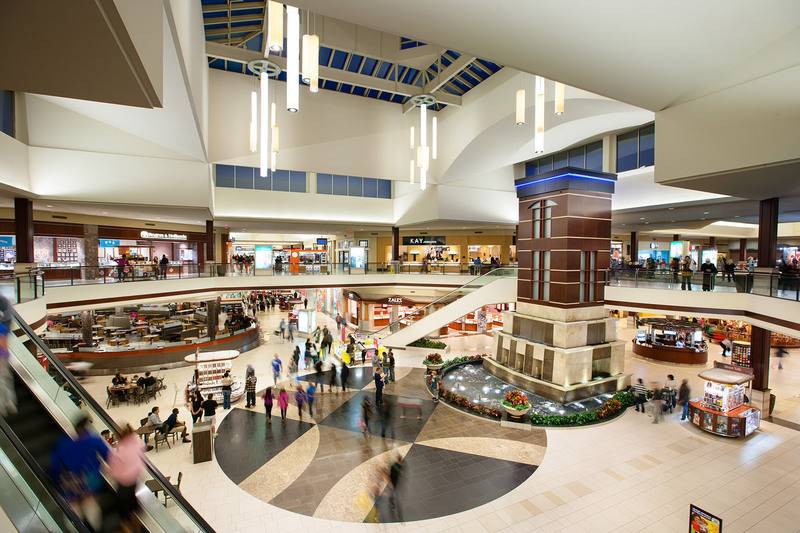 It may be a birthday, or it may be a holiday like Christmas time, but no matter what these strategies will help you get in and out of the mall as quickly as possible! This is what faces you whether you’re prepared or not! So read all of the article below so you can get and out of the mall as quickly as possible! The one important thing you don’t want to end up doing is wandering around the mall with no plan or idea what you’re going to accomplish once you’re there! So make a to-do list of all the people you’re buying gifts for, and as you make your way down that list write down what you’ve bought them. This way, you won’t forget what you’ve bought, and you’ll know what stores to hit once you’ve fought your way back into the mall. Another common pitfall when shopping is to start finding things to buy yourself. Obviously, this is a time where you should reward yourself, but the fact is that this is distracting when you’re out buying gifts for others. So hold off on that new gadget or piece of clothing at least until after your gift-buying is done! Lastly, be sure you’re aware of what hours the stores you’re going to will be open. Many will have extended hours to accommodate busy shoppers like yourselves, and it’ll help you plan your excursion as well! The one thing that’ll definitely make this stressful situation a lot easier is by saving a little money with some of these promo codes and discounts…….. The great thing about these next few tips is that they work great anytime, and not just when you’re in a bind for gift ideas. So before you fill up your car with gas or browse through every shopping site you can find the perfect gift for Aunt Sally, use these resources to get yourself the best deal while not hurting your bank account anymore. Now, what if I told you that there’s a way to get gift cards of all sorts for a fraction of the cost? These are cards that are filled with full amounts of cash, but the thing is that you don’t have to pay full price for them! Sites like Raise.com and Cardpool.com offer discounted gift cards for a wide variety of brands for nearly everything you can buy. Everything from iTunes to Buffalo Wild Wings can be found at these two sites, and you can specify how much you’d like to spend on a card. Next, you should scout the internet for discount codes if you’re shopping online for your gifts. One of the simplest methods is to search for the brand or company you’re buying from in google plus the term “coupon codes,” like “Sweese coupon codes” for example. Another method is to browse the brand’s social media pages like their Facebook or Twitter for discount codes. These companies go to a lot of effort to get customers so trust us when we say they want you to find these codes! Another place you can go is a site called RetailMeNot.com to find more promo codes. Exhaust every option you can to save a little stress on your pocketbook! Time is running out! If all you need is a quick idea for a gift then read below! In this section, we’re going to list a bunch of ideas at your rapid-fire style! More than likely, you’ve already got an idea of what gifts to buy, but haven’t made the time for shopping yet which is why we started with the previous section. These are going be gifts you can have mailed quickly, purchase digitally, or have them redeem on their own time. The first idea is to buy a subscription to their favorite type of product. There is quite literally a monthly subscription for nearly everything a person could buy out there from online yoga classes to bourbon to healthy snacks. If you need some inspiration, then check out this great Buzzfeed article. Then, of course, there are the standard subscription packages you can buy like Netflix, HBO Now, Hulu, and Amazon Prime. Many of them can be bought as a gift card, like at the sites above, or you can always buy them yourself and set the account up in their name. ● A day at the local spa where your relative or special someone can get pampered and massaged. ● If you live in an area close to an amusement park like Disney World, Six Flags, or Busch Gardens then get them a day’s pass there. The last thing to remember is that if you don’t have time to shop, much less wrap your gifts, that a site like Amazon (or Sweese!) can have the items gift-wrapped and shipped directly to your family or friends. If you have any other gift ideas or want to tell other readers how they can best use some of the resources we’ve provided, then please comment below!